The launch of the 71st edition of the journal of the Carlow Historical and Archaeological Society, Carloviana took place on Thursday 29th of November in Seven Oaks Hotel at 8pm. 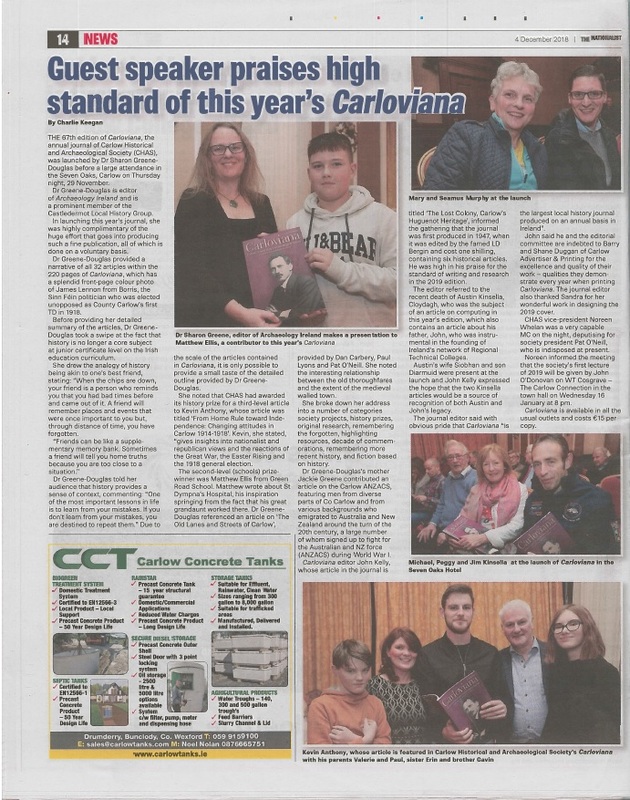 Carloviana 2019 was launched by by Dr. Sharon Greene. Dr. Greene is an archaeologist and the current editor of Archaeology Ireland. 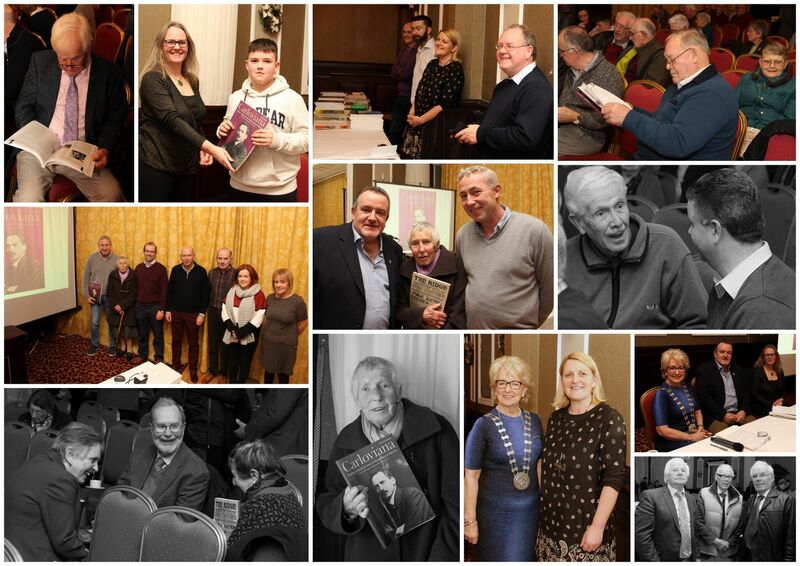 She also is a moving force in Castledermot Local History Group. You can read a report of Dr Greene’s address here. Running to 220 pages, this edition of Carloviana is the largest ever produced. The subjects covered range from the Mesolithic period of pre-history to the present day. The 32 articles in the journal cover a diverse range of subjects including; archaeology, religion, military life, politics, social history, medicine, industry, rural life and education. The revolutionary decade and WWI are also covered. 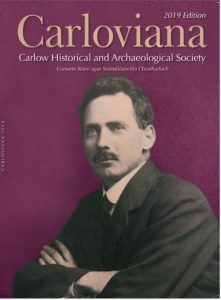 The journal also contains some unique illustrations and photographs relating to Carlow largely unseen until now.